QUARTZ PRO have a long heritage of research and development work for the processes involved during the manufacturing of high performance Quartz Crystals, QCM sensors and OCXO’s. When you need reliable low aging in combination with low retrace for example, that’s when we make a difference. And not only once, always. It’s no magic - pure science. We have spent a lot of research to understand the causes of aging and retrace. These performances are essential in applications where timing has to rely on an OCXO’s used in autonomous operations or disciplined to a GPS or similar to reach long hold over time. Because of our advanced production technology we can guarantee consistent high performance on all our products for every lot throughout the year, year after year. This is achieved by thorough knowledge and processing. When we offer low prices it’s because we have a high yield not cutting down on critical processing steps required to achieve high performance. 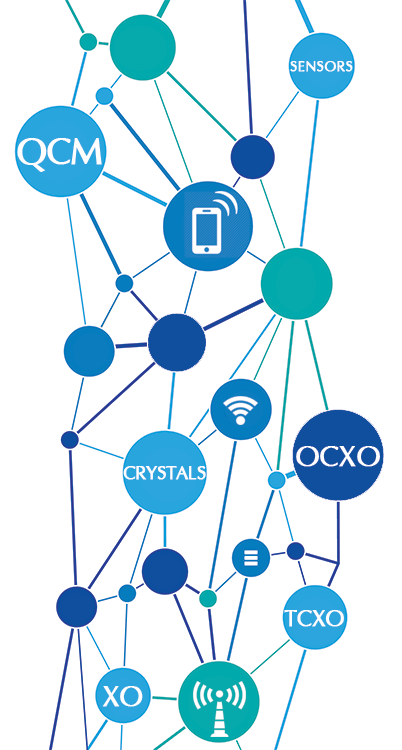 When you need a committed and competent supplier for Quartz Crystals, XO’s, TCXO’s, OCXO’s and QCM sensors choose Quartz Pro. We will not disappoint you.